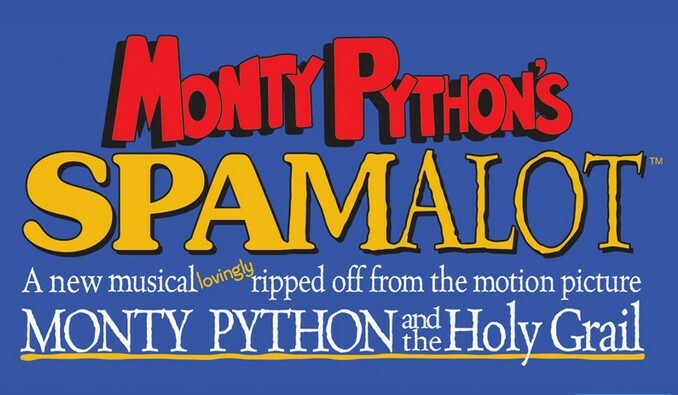 Monty Python's Spamalot tells the legendary tale of King Arthur’s quest to find the Holy Grail. Inspired by the classic comedy film, Monty Python and the Holy Grail, the musical also diverts a bit from more traditional versions of the legend. 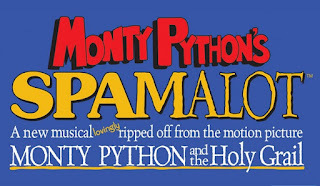 Instead, Spamalot features shennanigans including a line of beautiful dancing girls, a flatulent Frenchmen and killer rabbits. Outside, there is plague with a 50% chance of pestilence and famine. Throughout the show, Arthur, traveling with his servant Patsy, recruits several knights to accompany him on his quest, including Sir Bedevere, Sir Robin, Sir Lancelot and Sir Galahad. Besides the rabbits and farting Frenchman, they meet such characters as the Lady of the Lake, Prince Herbert, Tim the Enchanter, Not Dead Fred, the Black Knight and the Knights who say Ni. The 2005 Broadway production won three Tony Awards, including “Best Musical” and received 14 Tony Award nominations.